Farmers have been encouraged to drop the use of the word ’consumer’ and instead shift to engaging with UK ‘citizens’ as part of a drive to get more young people on-board with British food and farming. Speakers at the event with HRH The Countess of Wessex (right). 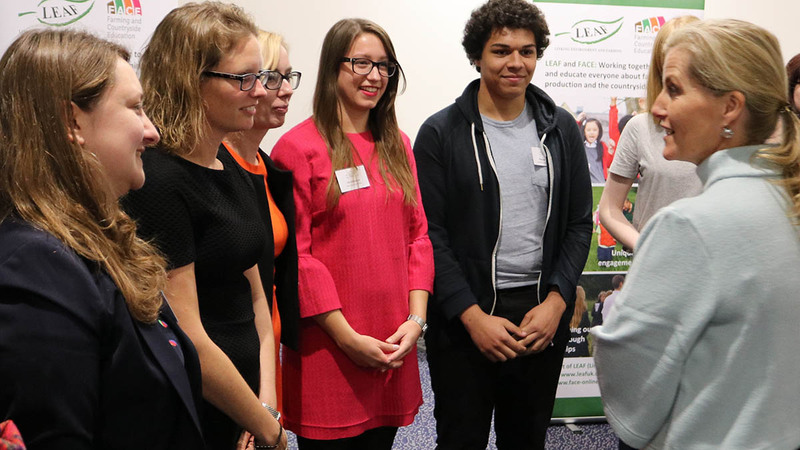 The call came during the Linking Environment and Farming (LEAF) public engagement conference in London last week, but left delegates on the fence about how to tackle the issue. Programme manager of the New Citizenship Project Iris Schönherr suggested a change in mindset could better embrace young people, encourage ’a want to participate’, and open the doors to a desire for knowledge on food, farming and the environment. She said: “If you are thinking of people as consumers, you are just thinking ‘what can I sell to them?’. “If you think of people as citizens you are thinking actually, people can do much more than choose and consume and demand. While some members of the audience seemed unimpressed by the lack of her reference to learning, Ms Schönherr insisted farmers and growers should drift away from a goal to ‘simply serve food’ and instead acknowledge people’s relationships with food and each other. “People are making short-term decisions and we are creating problems by framing them as consumers,” she added. Teenagers at the event, who were part of the Wellcome Collection RawMinds summer project, said they considered the best route to interaction with young people was through a sense of community, a social aspect and offering teaching of transferrable skills. Social media strategist for Social Jungle Alison Teare added: “Farmers just need to learn to open up their virtual doors.